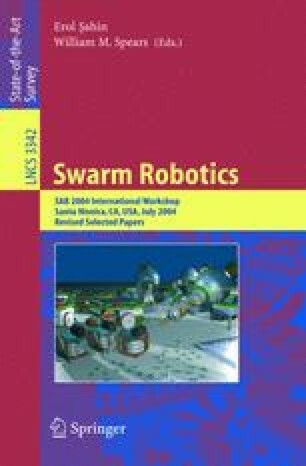 We describe a project where behaviors of robot swarms are designed and studied for use in a distributed mapping domain. Behaviors are studied in both simulation and physical robots. We discuss the advantages and challenges of swarm robotics, in general and specific to our research. Software implementations and algorithms are introduced, as well as methodologies for the creation and assessment of swarm behaviors.